VANCOUVER, BRITISH COLUMBIA--(Marketwired - June 20, 2017) - Pretium Resources Inc. (TSX:PVG)(NYSE:PVG) ("Pretivm" or the "Company) is pleased to announce that the first gold has been poured at the Brucejack Mine and that the flotation and gravity circuits are now operational. In addition, gold-silver flotation concentrate is being produced and bagged, with initial shipments scheduled. To view a photo of the first doré bars being poured please see the following link: http://media3.marketwire.com/docs/pvg0620goldpour.jpg. Construction crews continue to be phased out as construction winds down and the operations team ramps up toward commercial production. 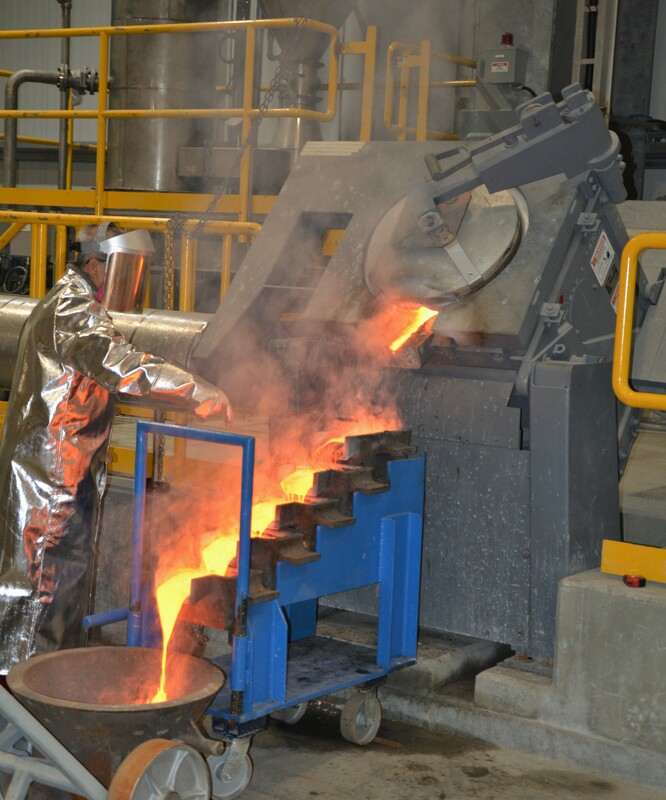 Pretivm is ramping-up toward commercial production at the high-grade underground Brucejack gold mine in northern British Columbia. This News Release contains "forward-looking information" and "forward looking statements" within the meaning of applicable Canadian and United States securities legislation. Statements contained herein that are not based on historical or current fact, including without limitation statements containing the words "anticipates," "believes," "may," "continues," "estimates," "expects," and "will" and words of similar import, constitute "forward-looking statements" within the meaning of the U.S. Private Securities Litigation Reform Act of 1995. Forward-looking information may include, but is not limited to, information with respect to our planned exploration and development activities, the accuracy of our mineral resource estimates; capital and operating cost estimates; production and processing estimates; the results, the adequacy of Pretivm's financial resources, the estimation of mineral reserves and resources including the 2016 Valley of the Kings Mineral Resource estimate and the Brucejack Mineral Reserve estimate, realization of mineral reserve and resource estimates and timing of development of Pretivm's Brucejack Project, costs and timing of future exploration, results of future exploration and drilling, production and processing estimates, capital and operating cost estimates, timelines and similar statements relating to the economic viability of the Brucejack Project, timing and receipt of approvals, consents and permits under applicable legislation, Pretivm's executive compensation approach and practice, and adequacy of financial resources. Wherever possible, words such as "plans", "expects", "projects", "assumes", "budget", "strategy", "scheduled", "estimates", "forecasts", "anticipates", "believes", "intends", "targets" and similar expressions or statements that certain actions, events or results "may", "could", "would", "might" or "will" be taken, occur or be achieved, or the negative forms of any of these terms and similar expressions, have been used to identify forward-looking statements and information. Statements concerning mineral reserve and resource estimates may also be deemed to constitute forward-looking information to the extent that they involve estimates of the mineralization that will be encountered if the property is developed. Any statements that express or involve discussions with respect to predictions, expectations, beliefs, plans, projections, objectives, assumptions or future events or performance are not statements of historical fact and may be forward-looking information. Forward-looking information is subject to a variety of known and unknown risks, uncertainties and other factors that could cause actual events or results to differ from those expressed or implied by the forward-looking information, including, without limitation, those risks identified in Pretivm's Annual Information Form dated March 30, 2017 filed on SEDAR at www.sedar.com and in the United States on Form 40-F through EDGAR at the SEC's website at www.sec.gov. Forward-looking information is based on the expectations and opinions of Pretivm's management on the date the statements are made. The assumptions used in the preparation of such statements, although considered reasonable at the time of preparation, may prove to be imprecise. We do not assume any obligation to update forward-looking information, whether as a result of new information, future events or otherwise, other than as required by applicable law. For the reasons set forth above, prospective investors should not place undue reliance on forward-looking information. Neither the TSX nor the NYSE has approved or disapproved of the information contained herein.